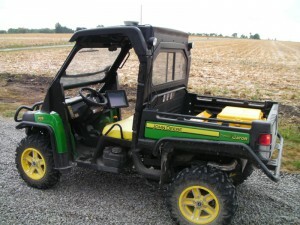 Surface models created from the collected topographic data can be used to install drain pipes with the WM-Drain farm drainage solution or to create a leveling design for use with the FieldLevel II system. 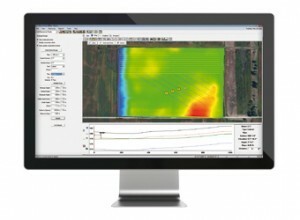 Farm Works™ Surface software is an analysis and design tool for use with the Trimble® WM-Drain™ farm drainage solution. Surface ensures the optimal placement of tile and surface drains in both surface and subsurface drainage water management projects, helping to drain fields adequately and increase crop yields. Display 3D topography data with water flow direction arrows and decide where surface ditches or subsurface tile lines should be installed to optimally drain the field. Utilize preset drawing tools to create mains, parallel lateral spacings, and/or clip drainage lines. These lines produce a vertical profile so that information can be entered for pipe size, pipe type, phase, minimum depth, maximum depth, and optimum grade. When the final design is complete, reports can be printed for the operator to show the amount of material required to complete the job. 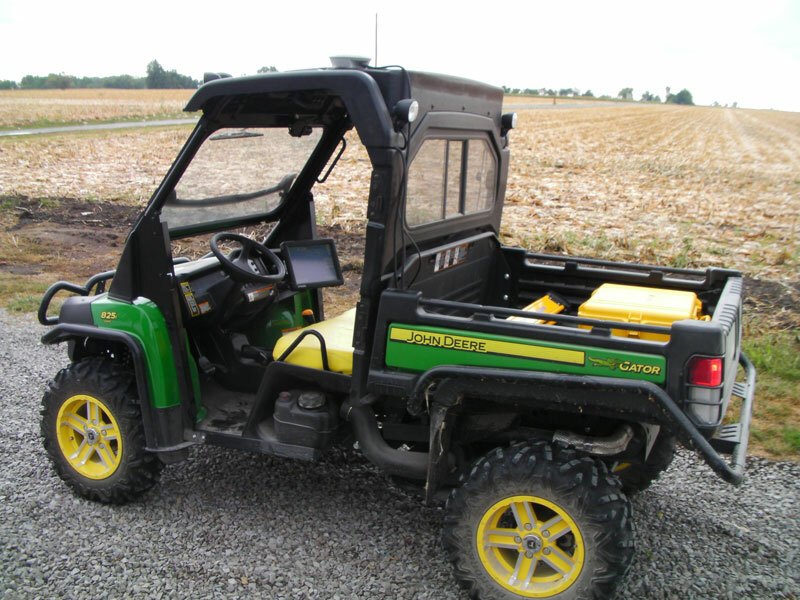 Completed designs in Surface can be submitted wirelessly to the field using Connected Farm™. These designs are compatible with the WM-Drain module on the FmX® display and Trimble’s 3D machine control technology for precise installation of your pipe or surface ditches. Use WM-Drain with any type of drainage plow—self-propelled, pull-type, chain or wheel trenchers, ditchers, scrapers, or any other water management implement. The Trimble® WM-Drain™ farm drainage solution is a concept to completion toolset that streamlines the survey, analysis, design, installation, and mapping steps of surface and subsurface drainage. WM-Drain ensures optimal 3D drain placement, which improves crop yields by controlling ponding, optimizing root depth, maximizing planting seasons, and minimizing nutrient loss.